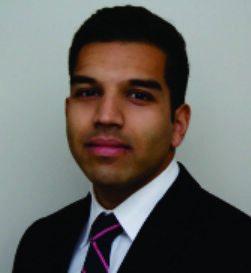 Department of Orthopaedic Surgery, University of Pittsburgh, 3471 Fifth Avenue, Pittsburgh, PA 15213-0802. In order to achieve good long-term results after anterior cruciate ligament (ACL) reconstruction, appropriate graft-to-bone healing is essential. The ACL graft is most vulnerable to re-injury during the early post-reconstruction phase. This is due to the decrease in biomechanical properties that occurs throughout the remodeling and graft-to-bone healing process. These processes are highly dependent on the biological and mechanical environment of the knee. The majority of the evidence regarding graft-to-bone healing is based on animal research. However, radiographic and histologic studies in humans reveal a slow incorporation process, which must be respected in post-operative rehabilitation planning. Significant differences between the healing behavior of soft tissue and bone-tendon-bone grafts, as well as between auto- and allografts have been identified. While tendon-to-bone healing occurs with dense fibrous tissue, bone blocks become incorporated into the surrounding tunnels via primary bone healing. Consequently, bone-tendon-bone grafts reveal a different microscopic appearance and slightly faster tunnel incorporation than soft tissue grafts. In anatomic ACL reconstruction, postoperative rehabilitation protocols should be tailored to allow optimum graft-to-bone healing, thereby minimizing tunnel enlargement and risk of graft failure. The bony insertion of the anterior cruciate ligament (ACL) is comprised of four distinct zones: ligamentous tissue, non-calcified fibrocartilage, calcified fibrocartilage, and bone. This “enthesis” is responsible for effectively transmitting the forces from the elastic ligament to the stiff bone. Despite its well organized structure, the enthesis has limited vascularity and thereby poor healing capacity(16, 40). As a result, primary repair of a torn ACL has been shown to be ineffective in restoring knee kinematics and stability, and reconstruction of the ligament (with autogenous or allogenous tissue) has become the standard of care. Although the outcomes following ACL reconstruction are generally good, there remains a 7-10 % overall re-rupture rate which warrants further evaluation(11). Technical errors (most frequently malposition of the femoral tunnel) are the most common cause of graft failure(18). However, 3 – 27% of ACL re-ruptures are considered “biologic” graft failures, which occur due to inappropriate graft ligamentization and inadequate graft-to-bone tunnel healing(18). In the early post-operative phase, the primary strength of an ACL graft is afforded by the means of femoral and tibial fixation. However, long-term stability and the ultimate success of ACL reconstruction are dependent mainly on the secondary mechanical properties of the graft – instilled through the remodeling and graft-to-bone incorporation processes28. The purpose of this review is to discuss the important aspects of graft-to-bone healing and highlight their clinical relevance in anatomic ACL reconstruction. 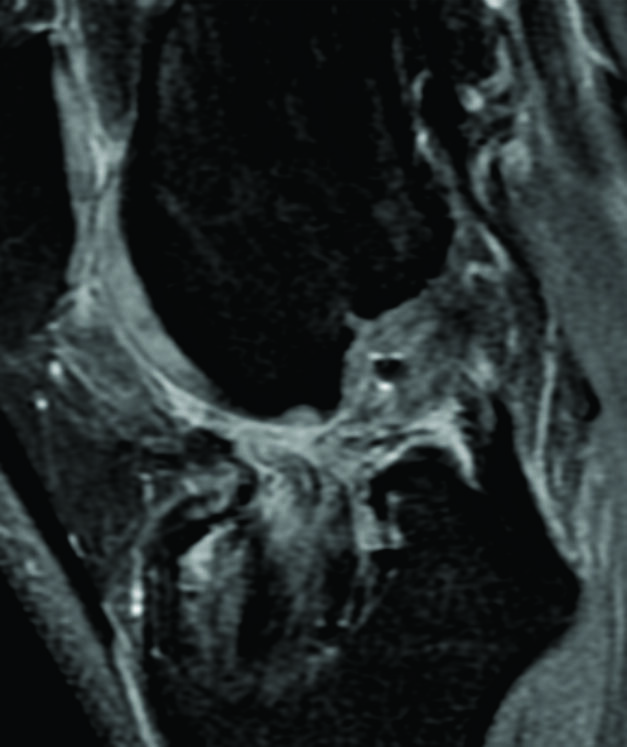 Figure 1: Magnetic resonance imaging (MRI) of a left knee of a 21-years old male patient one year after ACL reconstruction with an autologous quadriceps tendon grafts. A) Coronal T2-weighted coronal image with the arrow indicating the fibrous interface between the soft tissue graft and the bone tunnel. B) T1-weighted coronal cut with a homogenous intra-tunnel portion of the graft (arrow). C) T1-weighted sagittal image. At the distal part of the tibial bone tunnel the interference screw is visible. The arrow proximal to the interference screw highlights the fibrous interface in the anterior part of the bone tunnel. Analogous to the intra-articular graft remodeling process, graft-to-bone healing can be subdivided into four stages: 1) inflammatory phase, 2) proliferative phase, 3) matrix synthesis, and 4) matrix remodeling(16). The similarity ends there, however, as each stage is distinctly different between the two processes. During the initial inflammatory response, the ACL graft undergoes partial necrosis. This stimulates the release of a cocktail of growth factors, which induce the proliferative phase and promote neovascularization and nerve ingrowth. The matrix synthesis and remodeling phases result in bone or collagen fiber formation at the bone-tendon-bone (BTB) and soft tissue graft-tunnel interface, respectively(6, 16, 28, 39). This complex process is affected by a variety of biologic and technical factors. Of the technical – and thereby controllable – factors, graft type and tunnel position are likely the most important(5, 37). In general, both the ACL graft remodeling and incorporation processes are different and faster in animals compared to humans. Therefore, histologic and biomechanical data from animal studies cannot be directly transferred to humans and must be interpreted in the appropriate context. Incorporation of soft tissue ACL grafts begins with the development of granulation tissue and perpendicular collagen (Sharpey-like) fibers at the tendon-bone interface. This process usually occurs during the first 3-4 weeks. The granulation tissue surrounding the graft expresses high levels of vascular endothelial growth factor (VEGF) and basic fibroblast growth factor (b-FGF), which leads to an increase in the amount of fibroblasts and blood vessels(14, 23). This rudimentary scar tissue is characterized by loose and poorly organized collagen types I, II, and III fibers. Over time, the amount of type II collagen decreases, and the remaining type I and III fibers become more dense and organized(14, 16, 26, 33). The biology of the later stages of graft incorporation is less consistently reported in the literature. Some authors suggest that the graft becomes incorporated into the tunnel by woven bone as early as six weeks(19), while others have shown that dense collagen fibers predominate at the interface during this time33. The majority of the studies agree that bony ingrowth begins between 6-8 weeks(19, 23, 26). However, despite the formation of distinct cartilaginous (type-II collagen) tissue at the graft-tunnel interface, no direct insertion of fibrocartilaginous tissue is present at this time. Furthermore, the expression of VEGF, b-FGF, and collagen types II and III remains similar to the earlier stages of the incorporation process(13, 15, 26). At 12 weeks, a calcified cartilage zone similar to the native ACL insertion can be observed at the intra-articular tunnel aperture(19). This was demonstrated by Weiler et al., who showed that a mature fibrocartilaginous tendon-to-bone junction was present at 12 weeks in an interference-fit fixation study(29, 35). Others have disputed these findings, suggesting instead that the fibrocartilaginous tissue becomes more dense leading to bone tunnel sclerosis(33). The late stages of soft tissue graft incorporation are characterized by a decrease in cartilage metaplasia and resultant bony ingrowth (26). At six months following ACL reconstruction, significant ossification and formation of a four phase insertion can be observed at the graft-bone interface(19,35). This process continues along the length of the tunnel well beyond one year post-operatively. In a sheep model, Hunt et al. demonstrated that the intra-tunnel portion of the soft tissue ACL graft loses its tendinous structure and begins to show evidence of bony ingrowth at 2 years following reconstruction(10). Bone-to-bone healing is a different and much faster process than tendon-to-bone healing. During the first four weeks, granulation tissue develops at the bone graft-tunnel interface, and partial necrosis of the bone block occurs due to increased osteoclast activity(23, 33). Unlike soft tissue graft incorporation, only a small amount of fibrous tissue is formed(23). Studies have shown that BTB ACL grafts are at least partially incorporated into the tunnels after only 6 weeks(19, 23, 33). At 24 weeks, a fibrocartilaginous ligament-like insertion develops at the tunnel aperture, and by 6 months the graft is completely incorporated into the surrounding bone(38,19, 29). The intra-articular remodeling as well as the graft incorporation processes are much slower in allografts compared to autografts(3). Harris et al. investigated the graft-to-bone incorporation of BTB allografts in goats. 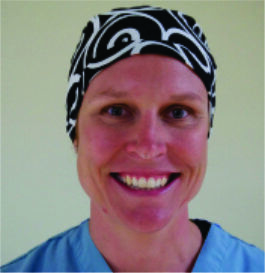 At 18 weeks following surgery, they found no evidence of bony incorporation and only a connective tissue interface at the graft-tunnel junction. Not until 36 weeks did the bone blocks become fully incorporated(9). Several studies have shown that the biomechanical properties of ACL grafts decrease steadily during the first few months following reconstruction(19). It is well documented that the intra-articular portion of the graft undergoes a distinct remodeling process that results in an initial decrease in strength and load to failure. However, the graft-to-bone incorporation must also be considered as a contributing factor to the overall decrease in the biomechanical properties seen in the early stages of graft healing. In a canine model, the load to failure at three weeks following surgery was significantly lower in soft tissue compared to BTB grafts (p = 0.021). No significant difference was identified at six weeks. Interestingly, at 12 weeks, the soft tissue grafts exhibited a higher load to failure than the BTB grafts(33). Mayr et al. showed that all failures occurred in the mid-substance at six weeks and at the graft-tunnel junction at 3-6 months, regardless of graft type(19). These findings are supported by other studies, and suggest that intra-articular graft remodeling is more important early on, while graft incorporation becomes significant at the later stages of healing(23, 33). Given that graft remodeling and incorporation continue well beyond one year following surgery, the biomechanical properties correspondingly increase in this later time frame(14, 36). Figure 2: Sagittal and coronal computed tomography image of a left knee of a patient six months after ACL reconstruction with an aoutologous quadriceps tendon with a patellar bone block in the femoral tunnel. The bone block is partially integrated in the surrounding bone (arrow). The bone tunnel is surrounded by a thin sclerotic wall (arrow). 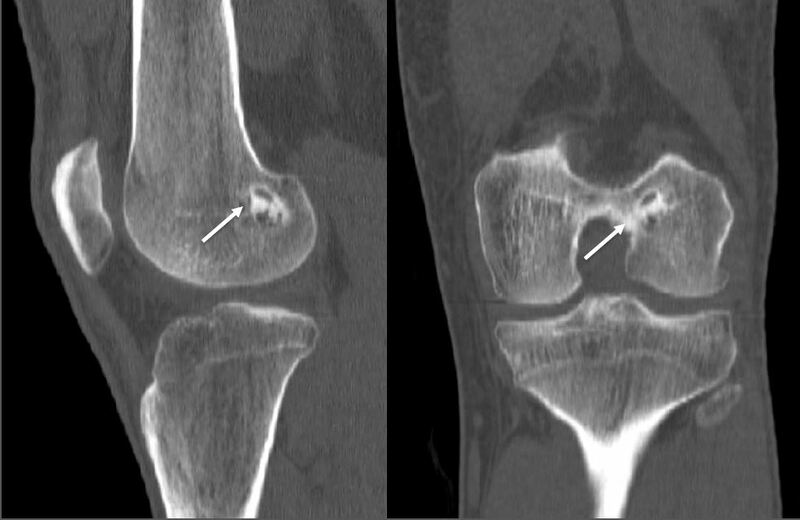 Figure 3: T2-weighted MRI of a left knee of a patients four years following ACL revision with soft tissue allograft and a bony reaction with consecutive tibial bone tunnel widening due to a fixation device. The graft in the bone tunnel is not homogenous and surrounded by irregular fibrous tissue. At the proximal part of the bone tunnel an evident synovial influx is visible. The evidence surrounding graft-to-bone healing in humans is limited to a few case series, and therefore it is difficult to draw definitive conclusion from the data. Nevertheless, it is important to consider some of the key differences observed in human patients. The process of soft tissue autograft incorporation into the surrounding bone tunnel is through formation of woven bone, which is penetrated by type I and III collagen fibers(24). In the first three months following reconstruction, the graft-bone interface consists primarily of dense, vascularized fibrous tissue surrounded by a layer of calcified osteoid. In this early phase, the fibrous tissue has no direct contact to the surrounding lamellar bone(25). At 5-6 months, the graft becomes surrounded by irregular fibrovascular granulation tissue with some areas of woven bone. Sharpey-like fibers begin to connect the graft to the bone, however, there is no evidence of bony ingrowth at this time(20, 25). Histological analyses of the graft-bone interface at 8-12 months following ACL reconstruction with hamstring tendon autograft show a firm attachment of the tendinous graft to the bone in some studies, and a persistent fibrous attachment in others(25,20). At one year following surgery, histological analyses show ongoing maturation of the graft-bone interface with an increase in Sharpey-like fibers and some evidence of peripheral bony ingrowth(20, 25). In bone-tendon-bone grafts, the four-phase insertion of fibrocartilage can be preserved by ensuring that the bone plug rests flush with the intra-articular tunnel aperture. In this instance, the BTB graft becomes incorporated into the tunnel by direct bone healing. When the bone plug is recessed within the tunnel, the tendon-bone interface becomes incorporated via fibrocartilage(24). Ishibashi et al. performed histological analyses on the BTB graft-tunnel interface in patients who had undergone primary ACL reconstruction. Prior to one year from the time of surgery, granulation tissue was present between the tendinous portion of the graft and the bone tunnel. After one year, the granulation tissue was replaced by fibrous tissue containing collagen fibers, but without an obvious fibrocartilaginous insertion. The bone block, in contrast, was completely incorporated and could not be distinguished from the surrounding bone by one year postoperatively(12). The incorporation of BTB grafts into the surrounding bone can be readily evaluated by computed tomography (CT) and magnetic resonance imaging (MRI) (Fig. 1, Fig. 2). Suzuki et al. used CT scans to show that the majority of BTB grafts were near-completely incorporated within the bone tunnel by eight weeks post-operatively(31). In contrast, the use of imaging to assess graft-to-bone healing of soft tissue grafts is much more demanding. A high resolution MRI can often be helpful in visualizing the remodelling and bone incorporation process8. However, accurate assessment of graft revascularization requires the use of contrast-enhaced MRI or MR angiography. MRI studies have shown that the revascularization process peaks at two months following ACL reconstruction and then decreases steadily over time(32). Interestingly, revascularization of BTB grafts is significantly faster in the intra-articular portion of the graft compared to the intra-tunnel segment. A recent MRI study revealed that revascularization of the intra-tunnel portion of the BTB graft persists beyond one year after surgery, suggesting that bone-to-bone incorporation may be slower than initially demonstrated by histological studies(21). Similar results were obtained when investigating the revascularization of soft tissue autografts(22, 27). Early return to function is a common goal following ACL reconstruction and modern rehabilitation protocols have been tailored accordingly. Range of motion exercises and gentle strengthening are important to maintain quadriceps function and mitigate the risk of arthrofibrosis. 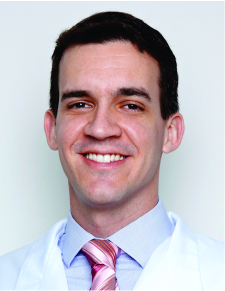 While femoral and tibial fixation techniques are responsible for maintaining graft strength in the early postoperative period, it is the graft remodeling and graft-to-bone incorporation processes that determine the long-term stability success of an ACL reconstruction4. An important clinical problem in graft-to-bone incorporation is tunnel enlargement (Figure 3). Although this is a multi-factorial issue, one contributing factor is the discrepancy of the healing process across different segments of the bone tunnel. Studies show that the number of osteoclasts as well as their activity level is higher at the intra-articular bone tunnel aperture1. Consequently, bony ingrowth occurs preferentially at the peripheral end of the bone tunnel(2). This in combination with an increased graft motion near the intra-articular tunnel aperture can result in tunnel widening and impaired graft-to-bone healing(26). This finding is corroborated by a number of clinical studies(34), whereas others found that bone tunnel widening does not influence graft incorporation(17). Another issue which may predispose to tunnel enlargement is the graft bending angle. In anatomic ACL reconstruction, a bend develops as the graft transitions from the intra-articular portion into the tunnel. Particularly with soft tissue grafts, this results in an asymmetric position of the graft at the tunnel aperture and formation of a gap between the graft and the tunnel wall(7). Synovial fluid and osteoclasts can enter this space and stimulate tunnel widening. Finally, the position of the bone socket plays a critical role in the motion of the graft within the tunnel(30). This was demonstrated by Ekdahl et al., who showed that bone tunnel enlargement is significantly decreased in anatomic ACL reconstruction compared to non-anatomic tunnel placement. The non-anatomic reconstructions revealed an increased amount of osteoclasts and a decreased amount of vascularization compared to the anatomic reconstructions(5). Successful graft-to-bone incorporation plays an integral role in the long-term outcomes following ACL reconstruction. Animal studies provide some understanding of this complex process and highlight the differences between graft and tissue types. However, the results of animal studies are not analogous to human data, which reveals a distinct and much slower incorporation process. The available evidence suggests that anatomic ACL reconstruction and likely a less aggressive rehabilitation protocol are both important variables in optimizing graft incorporation and improving patient outcomes. 1. Bedi A, Kawamura S, Ying L, Rodeo SA. Differences in Tendon Graft Healing Between the Intra-articular and Extra-articular Ends of a Bone Tunnel. HSS Journal. 2008;5(1):51-57. 2. Berg EE, Pollard ME, Kang Q. Interarticular bone tunnel healing. Arthroscopy. 2001;17(2):189-195. 3. Bhatia S, Bell R, Frank RM, et al. Bony Incorporation of Soft Tissue Anterior Cruciate Ligament Grafts in an Animal Model: Autograft Versus Allograft With Low-Dose Gamma Irradiation. Am J Sports Med. 2012;40(8):1789-1798. 4. Brophy RH, Kovacevic D, Imhauser CW, et al. Effect of short-duration low-magnitude cyclic loading versus immobilization on tendon-bone healing after ACL reconstruction in a rat model. J Bone Joint Surg Am. 2011;93(4):381-393. 5. Ekdahl M, Nozaki M, Ferretti M, Tsai A, Smolinski P, Fu FH. The Effect of Tunnel Placement on Bone-Tendon Healing in Anterior Cruciate Ligament Reconstruction in a Goat Model. Am J Sports Med. 2009;37(8):1522-1530. 6. Ekdahl M, Wang JH-C, Ronga M, Fu FH. Graft healing in anterior cruciate ligament reconstruction. Knee Surg Sports Traumatol Arthrosc. 2008;16(10):935-947. 7. Fujii M, Sasaki Y, Araki D, et al. Evaluation of the semitendinosus tendon graft shift in the bone tunnel: an experimental study. Knee Surg Sports Traumatol Arthrosc. 2014:1-5. 8. Ge Y, Li H, Tao H, Hua Y, Chen J, Chen S. Comparison of tendon–bone healing between autografts and allografts after anterior cruciate ligament reconstruction using magnetic resonance imaging. Knee Surg Sports Traumatol Arthrosc. 2013;23(4):954-960. 9. Harris NL, Indelicato PA, Bloomberg MS, Meister K, Wheeler DL. Radiographic and histologic analysis of the tibial tunnel after allograft anterior cruciate ligament reconstruction in goats. Am J Sports Med. 2002;30(3):368-373. 10. Hunt P, Rehm O, Weiler A. Soft tissue graft interference fit fixation: observations on graft insertion site healing and tunnel remodeling 2 years after ACL reconstruction in sheep. Knee Surg Sports Traumatol Arthrosc. 2006;14(12):1245-1251. 11. Hussein M, van Eck CF, Cretnik A, Dinevski D, Fu FH. Individualized anterior cruciate ligament surgery: a prospective study comparing anatomic single- and double-bundle reconstruction. Am J Sports Med. 2012;40(8):1781-1788. 12. Ishibashi Y, Toh S, Okamura Y, Sasaki T, Kusumi T. Graft incorporation within the tibial bone tunnel after anterior cruciate ligament reconstruction with bone-patellar tendon-bone autograft. Am J Sports Med. 2001;29(4):473-479. 13. Kanazawa T, Soejima T, Murakami H, Inoue T, Katouda M, Nagata K. An immunohistological study of the integration at the bone-tendon interface after reconstruction of the anterior cruciate ligament in rabbits. J Bone Joint Surg Br. 2006;88(5):682-687. 14. Kondo E, Yasuda K, Katsura T, Hayashi R, Kotani Y, Tohyama H. Biomechanical and Histological Evaluations of the Doubled Semitendinosus Tendon Autograft After Anterior Cruciate Ligament Reconstruction in Sheep. Am J Sports Med. 2012;40(2):315-324. 15. Liu SH, Panossian V, al-Shaikh R, et al. Morphology and matrix composition during early tendon to bone healing. Clin Orthop Relat Res. 1997(339):253-260. 16. Lui P, Zhang P, Chan KM, Qin L. Biology and augmentation of tendon-bone insertion repair. J Orthop Surg Res. 2010;5(1):59-14. 17. Lui PPY, Lee YW, Mok TY, Cheuk YC. Peri-tunnel bone loss: does it affect early tendon graft to bone tunnel healing after ACL reconstruction? Knee Surg Sports Traumatol Arthrosc. 2013;23(3):740-751. 18. Magnussen RA, Trojani C, Granan LP, et al. Patient demographics and surgical characteristics in ACL revision: a comparison of French, Norwegian, and North American cohorts. Knee Surg Sports Traumatol Arthrosc. 2015;23(8):2339-2348. 19. Mayr HO, Stoehr A, Dietrich M, et al. Graft-dependent differences in the ligamentization process of anterior cruciate ligament grafts in a sheep trial. Knee Surg Sports Traumatol Arthrosc. 2011;20(5):947-956. 20. Nebelung W, Becker R, Urbach D, Röpke M, Roessner A. Histological findings of tendon-bone healing following anterior cruciate ligament reconstruction with hamstring grafts. Arch Orthop Trauma Surg. 2003;123(4):158-163. 21. Ntoulia A, Papadopoulou F, Ristanis S, Argyropoulou M, Georgoulis AD. Revascularization Process of the Bone-Patellar Tendon-Bone Autograft Evaluated by Contrast-Enhanced Magnetic Resonance Imaging 6 and 12 Months After Anterior Cruciate Ligament Reconstruction. Am J Sports Med. 2011;39(7):1478-1486. 22. Ntoulia A, Papadopoulou F, Zampeli F, Ristanis S, Argyropoulou M, Georgoulis A. Evaluation with contrast-enhanced magnetic resonance imaging of the anterior cruciate ligament graft during its healing process: a two-year prospective study. Skeletal Radiol. 2012;42(4):541-552. 23. Papageorgiou CD, Ma CB, Abramowitch SD, Clineff TD, Woo SL. A multidisciplinary study of the healing of an intraarticular anterior cruciate ligament graft in a goat model. Am J Sports Med. 2001;29(5):620-626. 24. Petersen W, Laprell H. Insertion of autologous tendon grafts to the bone: a histological and immunohistochemical study of hamstring and patellar tendon grafts. Knee Surg Sports Traumatol Arthrosc. 2000;8(1):26-31. 25. Robert H, Es-Sayeh J, Heymann D, Passuti N, Eloit S, Vaneenoge E. Hamstring insertion site healing after anterior cruciate ligament reconstruction in patients with symptomatic hardware or repeat rupture: a histologic study in 12 patients. Arthroscopy. 2003;19(9):948-954. 26. Rodeo SA, Kawamura S, Kim HJ, Dynybil C, Ying L. Tendon Healing in a Bone Tunnel Differs at the Tunnel Entrance Versus the Tunnel Exit: An Effect of Graft-Tunnel Motion? Am J Sports Med. 2006;34(11):1790-1800. 27. Rupreht M, Jevtič V, Serša I, Vogrin M, Šeruga T, Jevšek M. Quantitative evaluation of the tibial tunnel after anterior cruciate ligament reconstruction using diffusion weighted and dynamic contrast enhanced MRI: a follow-up feasibility study. Skeletal Radiol. 2011;41(5):569-574. 28. 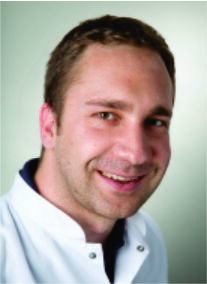 Scheffler SU, Unterhauser FN, Weiler A. Graft remodeling and ligamentization after cruciate ligament reconstruction. Knee Surg Sports Traumatol Arthrosc. 2008;16(9):834-842. 29. Schiavone Panni A, Fabbriciani C, Delcogliano A, Franzese S. Bone-ligament interaction in patellar tendon reconstruction of the ACL. Knee Surg Sports Traumatol Arthrosc. 1993;1(1):4-8. 30. Silva A, Sampaio R, Pinto E. Femoral tunnel enlargement after anatomic ACL reconstruction: a biological problem? Knee Surg Sports Traumatol Arthrosc. 2010;18(9):1189-1194. 31. Suzuki T, Shino K, Nakagawa S, et al. Early integration of a bone plug in the femoral tunnel in rectangular tunnel ACL reconstruction with a bone-patellar tendon-bone graft: a prospective computed tomography analysis. Knee Surg Sports Traumatol Arthrosc. 2011;19(S1):29-35. 32. Terauchi R, Arai Y, Hara K, et al. Magnetic resonance angiography evaluation of the bone tunnel and graft following ACL reconstruction with a hamstring tendon autograft. Knee Surg Sports Traumatol Arthrosc. 2016;24(1):169-175. 33. 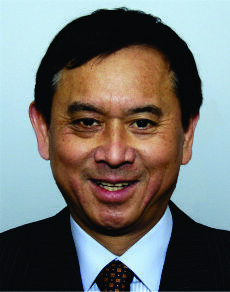 Tomita F, Yasuda K, Mikami S, Sakai T, Yamazaki S, Tohyama H. Comparisons of intraosseous graft healing between the doubled flexor tendon graft and the bone–Patellar tendon–Bone graft in anterior cruciate ligament reconstruction. Arthroscopy. 2001;17(5):461-476. 34. Weber AE, Delos D, Oltean HN, et al. Tibial and Femoral Tunnel Changes After ACL Reconstruction: A Prospective 2-Year Longitudinal MRI Study. Am J Sports Med. 2015;43(5):1147-1156. 35. Weiler A, Hoffmann RFG, Bail HJ, Rehm O, Südkamp NP. Tendon Healing in a Bone Tunnel. Part II: Histologic Analysis After Biodegradable Interference Fit Fixation in a Model of Anterior Cruciate Ligament Reconstruction in Sheep. Arthroscopy. 2002;18(2):124-135. 36. Weiler A, Peine R, Pashmineh-Azar A, Abel C, Südkamp NP, Hoffmann RFG. Tendon Healing in a Bone Tunnel. Part I: Biomechanical Results After Biodegradable Interference Fit Fixation in a Model of Anterior Cruciate Ligament Reconstruction in Sheep. Arthroscopy. 2002;18(2):113-123. 37. Yamazaki S, Yasuda K, Tomita F, Minami A, Tohyama H. The effect of intraosseous graft length on tendon-bone healing in anterior cruciate ligament reconstruction using flexor tendon. Knee Surg Sports Traumatol Arthrosc. 2006;14(11):1086-1093. 38. Yoshiya S, Nagano M, Kurosaka M, Muratsu H, Mizuno K. Graft healing in the bone tunnel in anterior cruciate ligament reconstruction. Clin Orthop Relat Res. 2000(376):278-286. 39. Zantop T, Ferretti M, Bell KM, Brucker PU, Gilbertson L, Fu FH. Effect of Tunnel-Graft Length on the Biomechanics of Anterior Cruciate Ligament-Reconstructed Knees: Intra-articular Study in a Goat Model. Am J Sports Med. 2008;36(11):2158-2166. 40. Zhao L, Thambyah A, Broom ND. A multi-scale structural study of the porcine anterior cruciate ligament tibial enthesis. J Anat. 2014;224(6):624-633. How to Cite this article:. Herbst E, Albers M, Kopka M, Shaikh H, Fu FH, . Biology of Graft Incorporation. Asian Journal of Arthroscopy Apr- June 2016;1(1):20-24 .